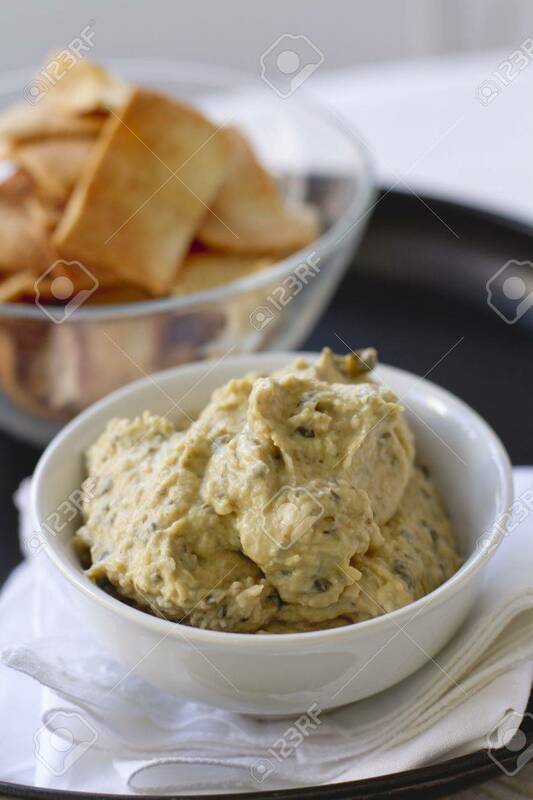 Artichoke Hummus With Pita Chips On A Plate. Stock Photo, Picture And Royalty Free Image. Image 19579998.